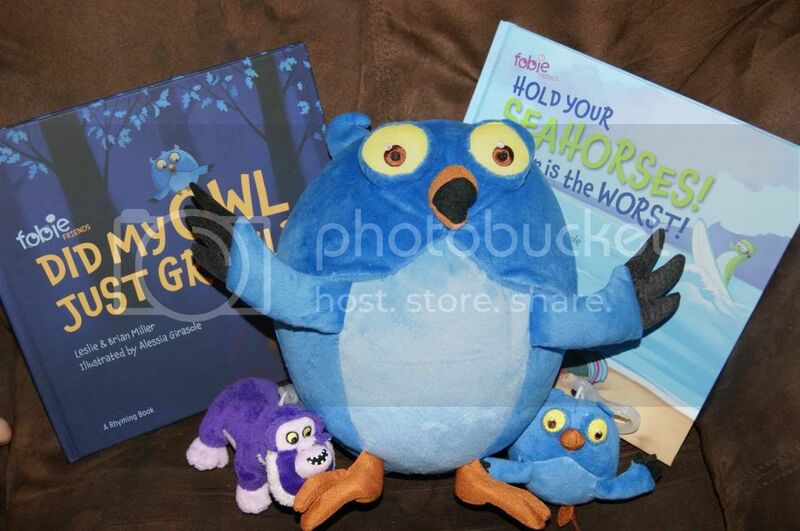 Andrea's World Reviews: Fobie Friends Review & GIVEAWAY!! One of the most wonderful that almost all children share is their limitless imaginations. Children have a very unique world perspective which can make any situation more entertaining. Unfortunately though, with a wild imagination can can also come irrational fears. Children often fear anything from heights to the dark to the water and everything in between. While of course there is no shame in being afraid at any age, but as parents, the last thing we want is for our children to summer from fear or anxiety over something that is perfectly safe and pleasant. Explaining to children that the dark cannot hurt them and so on seems simple enough, but usually it is not very successful. The better approach, I have found, is to take their mind off the fear, and get them to focus on something else. Having something tangible to ease their fears works so much better. Recently I discovered a company that clearly feels the same way. That is why they created a series of books and e-books focused on overcoming fears. Fobie Friends even offers plush toys that accompany the books, helping bring the characters to life. I got two of the books for my kiddos, and they are really wonderful. The books themselves very high quality. They have thick, glossy, vibrant pages with beautiful illustrations and large print, and a very durable hard cover. They are very nice. Of course the real focus is the fun and comforting stories. 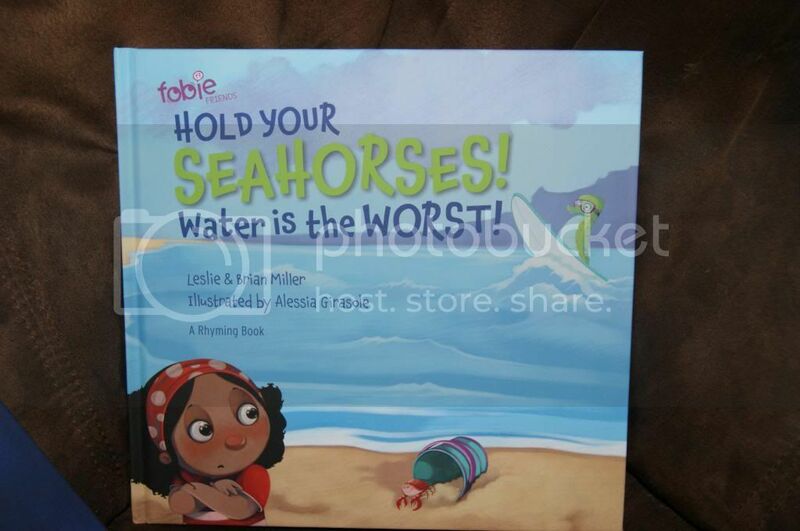 Hold Your Seahorses! Water is the Worst! The story of a little girl who was afraid of the ocean and how a daydream and a seahorse helped her overcome her fears by helping her discover the beauty of the sea. Did My Olw Just Growl(with matching plush owl)? This story is about a little boy at bedtime who fears the dark and all the unknowns that come with it. He imagines his bead leaving his room and rolling into a dark forest where he meets a friendly owl who reminds him to use "Owl Eyes" to see in the dark. 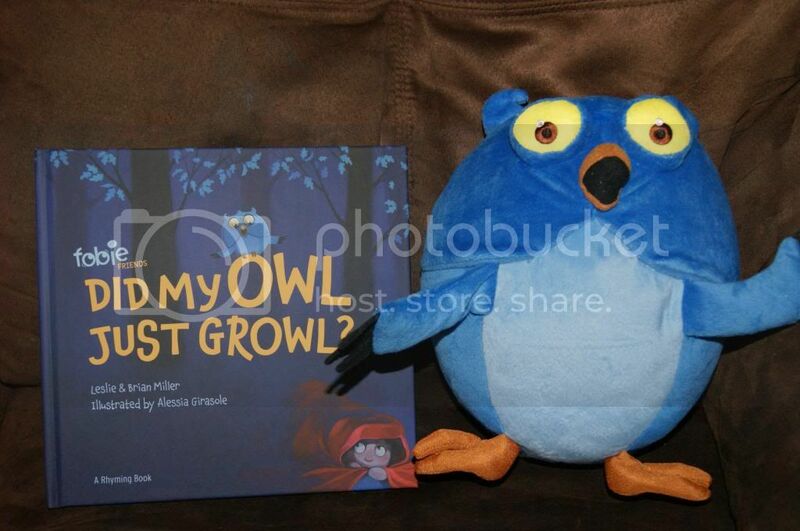 Did My Owl Just Growl adds at the end of the story how the boy looked at the owl to remind him not to fear the dark. 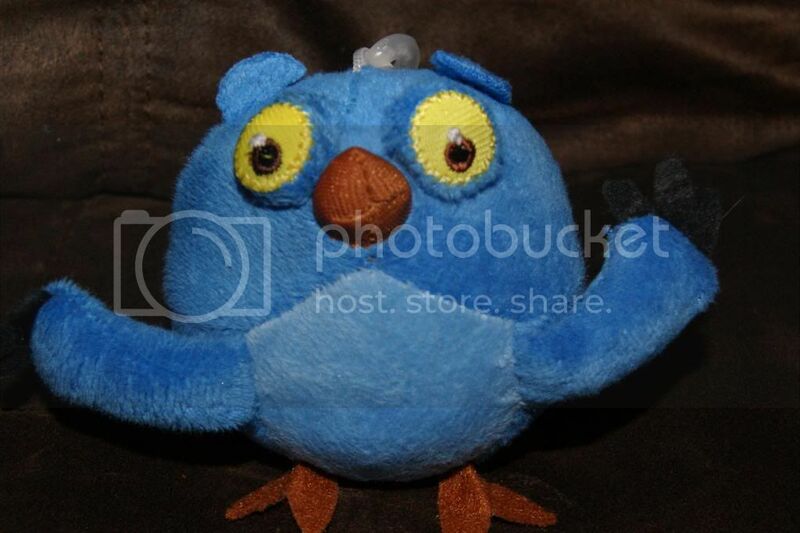 So the fact that this comes with a plush owl is great. Kids can do the same and be reminded not to fear the dark every time they look at their hoot-tastic new friend. Both stories end with the line, "I don't fear my fears. My fears, they fear me." which is really wonderful. I love that message as it applied to either of these stories, or any situation in general. Another wonderful thing about these books is that they rhyme. Rhyming stories are so much fun for kids, and they also help kids to remember them easier. 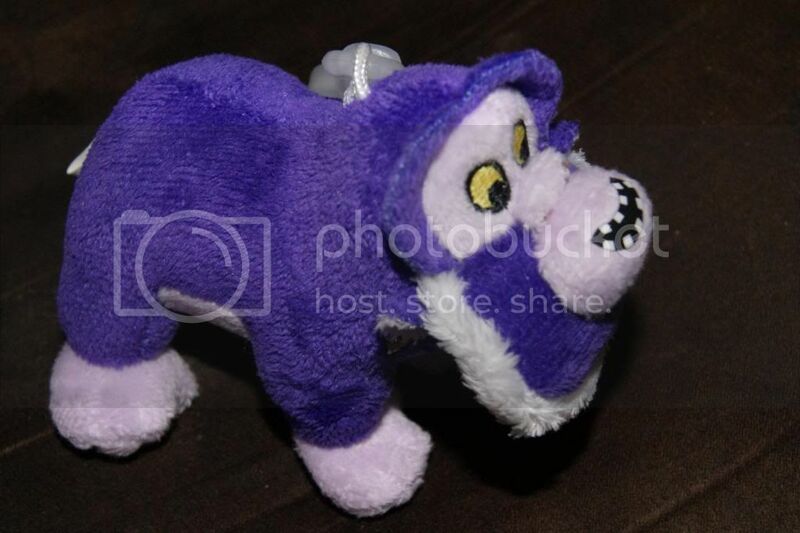 In addition to books and full size plushies, Fobie Friends also come in adorable key chain sized plushies that can go everywhere your child goes. Although my son is not afraid of the dark or the water, he still loves these stories and plush friends. I really love the message of overcoming fears, because with his autism he does have many fears that he would benefit form overcoming(like most foods, loud noises, etc). M daughter loves these as well, and though she does not fully understand the message of the stories yet, she already has a few fears of her own I am hoping she can conquer. These books will be so helpful for her as she grows. Fobie Friends books and plush friends(and t shirts, which they also sell) would make a great gift for any child weather for a special occasion or just because. That is why Fobie Friends and I are giving away "Fobie Packs" to 2 lucky winners. Enter blow for your chance to win. Good luck. I like the rhymes... my kids like rhyming books. the plushies are super cute too. I love how cute these are. My youngest daughter is a bit scared of the dark, so I think this would be great for her. I like that the characters can come to life while you're reading the book. I like that they help kids deal with their fears. What's not to like about them? I love the fun characters and that it helps children face their fears! I like that the books have stuffed animals to go along with them! My boys would love the stuffed animals! I like that they can possibly help with children's fears and they are really cute!